A transition to sustainable energy is needed for our climate and welfare. In this engineering course, you will learn how to assess the potential for energy reduction and the potential of renewable energy sources like wind, solar and biomass. You’ll learn how to integrate these sources in an energy system, like an electricity network and take an engineering approach to look for solutions and design a 100% sustainable energy system. 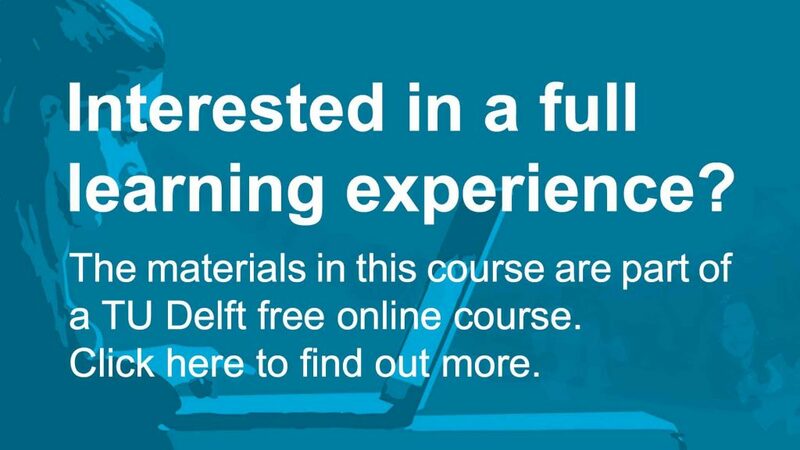 This course is an introduction to the Master Programme Sustainable Energy Technology at TU Delft and is aimed at Bachelor students from science and engineering disciplines. Sustainable Energy: Design A Renewable Future by TU Delft OpenCourseWare is licensed under a Creative Commons Attribution-NonCommercial-ShareAlike 4.0 International License. Based on a work at https://ocw.tudelft.nl/courses/sustainable-energy-design-renewable-future/.